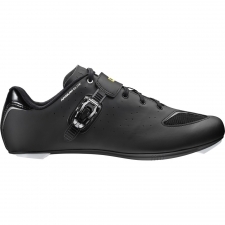 Designed for everyday road riding performance, this shoe blends efficient power transfer with long-lasting comfort. A great choice for aspiring road riders, the Cosmic boasts many of the same features as premium performance shoes at a price that can't be beat. 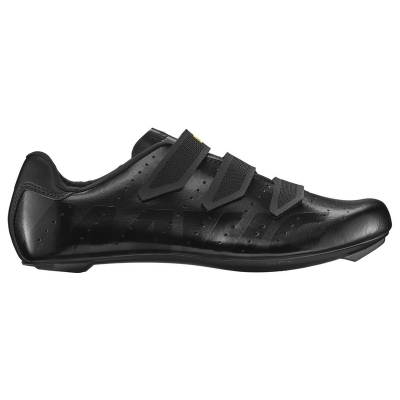 Its high-quality Ortholite insole has been developed and proven in a long line of successful Mavic road shoes, and a blended nylon and fiberglass outsole offers the perfect level energy transfer that's stiff but not too stiff. That comfortable ride quality is further enhance by a roomy toe box and three Velcro straps that make it easy to fine-tune the fit. The micro-fiber upper is made with a breathable material and also features laser cut holes for added ventilation and comfort. Adjustability and fit for long-lasting comfort. A high-quality Ortholite insole prolongs comfort and performance. Velcro closures for a customizable and adjustable fit. Roomier toe box. 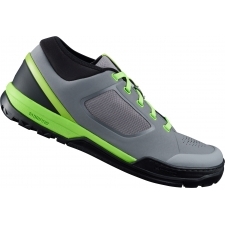 Supple synthetic micro-fiber upper offers an optimal fit and breathability. Strategically placed laser-cut holes for added ventilation. 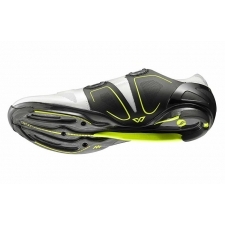 Buy your Mavic Cosmic Road Shoe - Black/Black from Revel Outdoors.